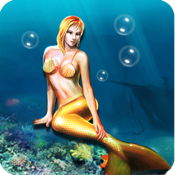 This is a fishing mermaids game appears in Pirates of the Caribbean style. 1. Player play as the pirate. 2. Fish the mermaids, fishes, and treasure chests for points. 3. Mermaids get the highest scores among all the things in the water. You’d better try to grab as much the mermaids as possible. 1. Pirates of the Caribbean style. 2. The miserable crying of the mermaid will deeply break your heart. 3. With brilliant underwater pictures.